Nominations are now open for the BNA Club Carnival on Sunday 6th August 2017. Please note 1 online form per team will need to be submitted. Detailed carnival information will be emailed once nominations close. 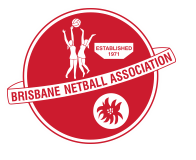 Please contact admin@brisbanenetball.org.au or call 3350 2035 if you have any questions.